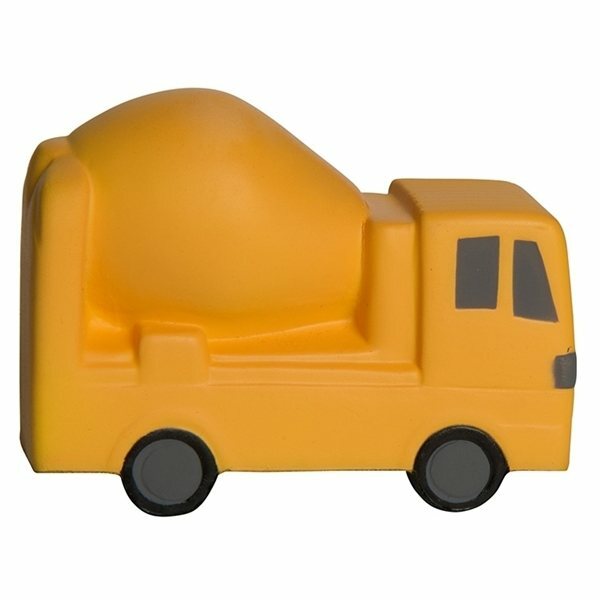 This cement mixer shape stress reliever is perfect for advertising everything from contractors to construction equipment! Custom imprint your company's logo or slogan for maximum exposure. Most like: The quality of the imprinted logo. Item arrived quickly and looked just as expected. the final product was exactly what I was expecting. Your system is very efficient. Loved everything! We just put our info on it and left it on seats around campus, lots of fun! The fine art was perfect and also the delivery time was faster than expected. Veronica is my contact and has been thoroughly helpful with my orders.